Matt reports back after a month of using Microsoft's flagship console, the Xbox One X. Since it was savagely dunked on by both Sony and itself at E3 in 2013, Microsoft has been playing catch-up – or rather, damage control – with the Xbox One. The console's always-online policy was expunged before it even launched, but it has taken years for many of Microsoft's other early eighth-gen missteps to be remedied. Xbox execs were eventually convinced that ranting about TV features rather than games was a bad idea, the Kinect was quietly airbrushed out of the picture, and Microsoft finally realised it couldn't outsell Sony's PlayStation 4 by offering a more expensive console. By the time the Xbox One S launched in 2016 with UHD Blu-ray and HDR support, things were looking pretty good for Microsoft and the Xbox One. But two problems remain: the Xbox One still lacks compelling exclusive games beyond the holy trinity of Gears, Forza, and Halo; and a slight power deficit sometimes saw games run at lower resolutions and with rockier framerates on Xbox One than they do on PlayStation 4. 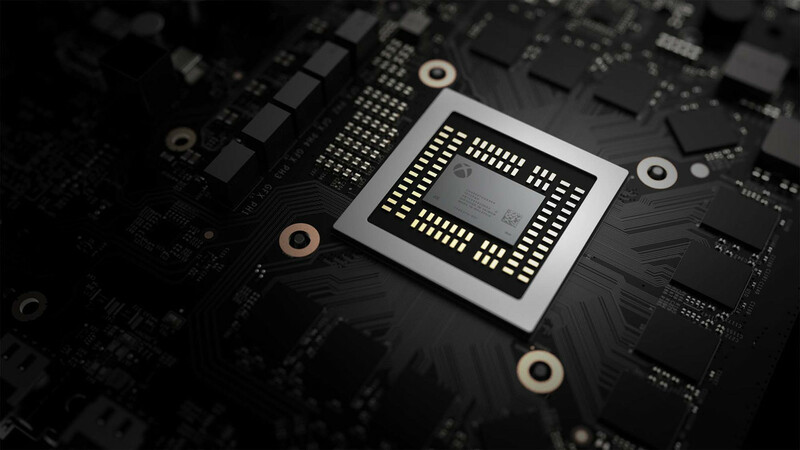 The Xbox One X feels like massive overcompensation for the latter issue, a way for Microsoft to down-trou the PlayStation 4 Pro, wrest the title of "the world's most powerful console" out of its hands, and actually fulfill its claim that Xbox is the best place to play multiplatform games. The Xbox One X is a fine-looking machine. Sporting a matte black finish and internal power supply, it's a compact, absurdly quiet, understated device whose monolithic look I much prefer to the angular triple stack weirdness of the PlayStation 4 Pro. Ports-wise it is identical to the Xbox One S, and like that console, it features an ultra HD Blu-ray drive, HDR support for gaming and video, and Dolby Atmos support. Microsoft announced the specs of the One X early, and that's because they are impressive: it boasts a six teraflop GPU, 12GB of GDDR5 RAM, and a 2.3GHz eight-core AMD Jaguar CPU. If the system has a bottleneck, it is the CPU, which is "only" 31 percent faster than that housed within the One S. The One X is also lacking when it comes to hard drive space: a 1TB hard drive is the only option right now, and while it is 50 percent faster than the drive in the One S, only 781GB of it is available to the owner. 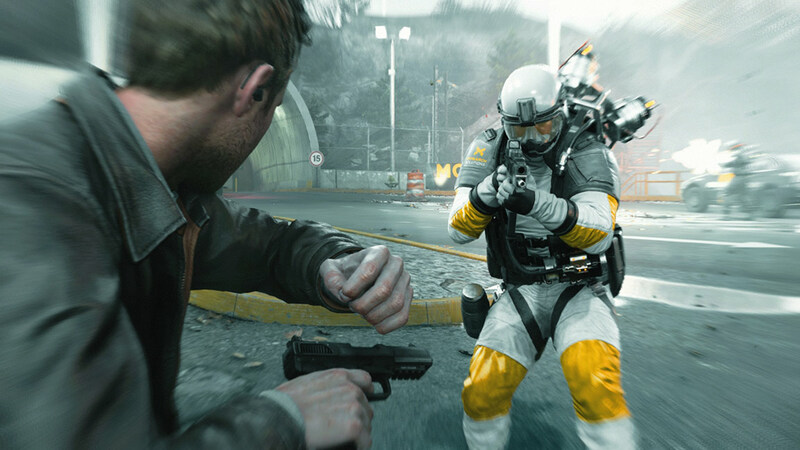 Blockbuster games with 4K textures often require more than 100GB of storage each, so that space fills quickly, making the addition of an external hard drive almost mandatory. Nonetheless, the One X is a premium machine that is aimed at the enthusiast end of the console market, and it's astonishing what Microsoft has managed to cram into such a small unit. 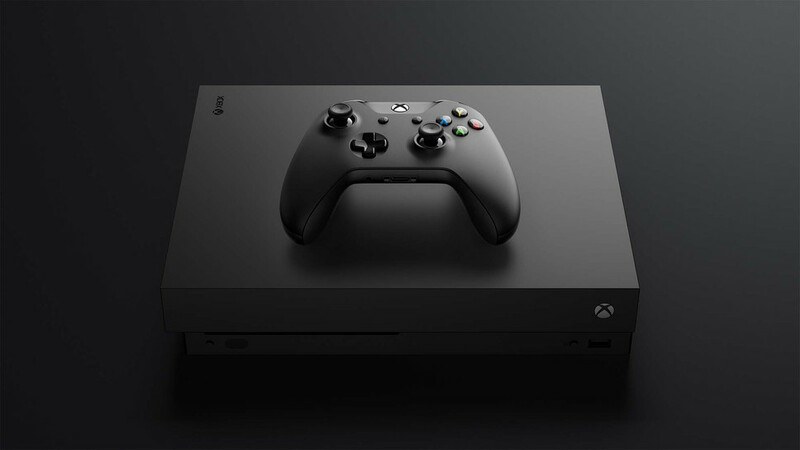 "We built Xbox One X to give game creators the most powerful platform to bring their visions to life and to give gamers the best console to play the games of the past, present and future," said Xbox head Phil Spencer. With a 40 percent power advantage over PlayStation 4 Pro, Microsoft can certainly claim firepower superiority for a while yet. Even without developer intervention, games run better on the One X; frame rates are more stable, and titles that use a dynamic resolution system hit their maximum resolution more often (or all of the time). The One X also adds anisotropic texture filtering to every title. Basically, games that ran poorly on Xbox One (and there were more than a few) run great on One X. However, games that receive an Xbox One X patch can benefit in a number of other ways. It's up to a developer how they use the console's extra horsepower, but it's already clear that most are focussing on boosting visuals by bumping up resolution, texture quality, shadow quality, effects, and draw distances. More than 70 games now have a One X patch, and only a handful (including Gears of War 4, Hitman, and Rise of the Tomb Raider) have the option to run at a higher framerate on the One X. That's largely to be expected – we saw developers prioritise visuals last year with PS4 Pro as well. The One X is being marketed as a 4K machine, but only about 20 percent of the current patched games run at a native 4K resolution – notably Forza Motorsport 7, Gears of War 4, Halo 5, Path of Exile, Rise of the Tomb Raider, and The Elder Scrolls Online. 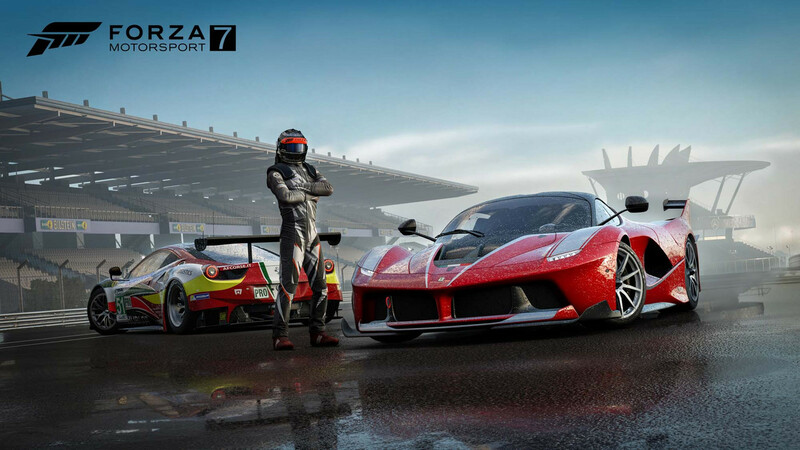 All look much crisper, cleaner, and sharper, and as you'd expect, and Forza and Gears are particularly good showcases for what the console can do. Special mention must also go to Killer Instinct, which sees a huge improvement from 900p on Xbox One to native 4K the One X. It is the first fighting game on console to hit such a resolution. If you've been playing games at 1080p, the switch to 2160p (4K), is astonishing. The extra detail and boosted clarity are really something to behold. It feels like an eyesight upgrade – there are things there you couldn't see before. It helps that extra pixels aren't usually the only thing you get; HDR is usually along for the ride and is just as impactful, and other features often get a boost, too. For example, The Elder Scrolls Online augments its native 4K resolution and HDR with a greatly-increased view distance, upgraded shadows, and upgraded real-time water reflections. Many games that don't run at native 4K on the One X get close enough, and most AAA titles like Halo 5, Fallout 4, and Skyrim employ dynamic resolution scaling to run at resolutions of up to 4K. I found some titles running at lower resolutions difficult to distinguish from full-fat 4K, as even below that threshold, some look remarkable. Contrast this with the PS4 Pro, whose checkerboard upscaling artifacts can be easier to spot. I called that machine a 1440p console, so perhaps the One X is an 1800p console? Whatever the case, I feel like the One X's "4K games" marketing is fair. In most cases, it's close enough to the real thing. Assassins Creed Origins is a great example of how developers are approaching the One X. It runs at dynamic 4K with HDR, and features increased draw distances and faster load times. It's insane how beautiful it looks. Halo 5 must also be singled out for special mention, as the amount of extra detail present – on character models, guns, and backgrounds – is incredible, despite a lack of HDR. Elsewhere, Titanfall 2, Wolfenstein 2: The New Colossus, Fortnite, Dishonored 2, and Star Wars Battlefront II all surpass their PS4 Pro versions, but honestly, all are pretty games on either console, and if you aren't comparing them side-by-side, you may not notice or particularly care. An exception is Middle-earth: Shadow of War, which, thanks to better textures, is much prettier on One X than PS4 Pro. Amusingly, Star Wars Battlefront II highlights an issue that high-end PC players have had for a while now: cutscenes look substantially worse than gameplay on One X, because they are only rendered at 1080p. It's a nice problem to have. As we saw last year with PS4 Pro, a few developers have gone the extra mile and offered One X players a variety of display and gameplay options. For example, Rise of the Tomb Raider allows you to choose between a full 4K resolution and improved effects at 30fps, or 1080p at a locked 60fps. Middle-earth: Shadow of War offers dynamic resolution up to native 4K and increased texture detail, or increased draw distances, improved shadow and lighting conditions, increased vegetation, improved ambient occlusion, higher polygon counts, and texture filtering. 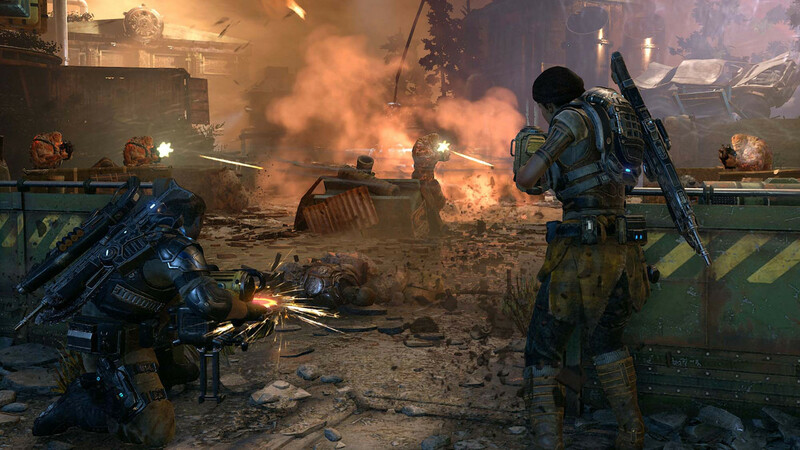 Gears of War 4 offers a visuals mode that features ultra quality textures and improved graphical features at native 4K/30fps, or performance mode that runs Campaign and Horde at 60fps in 1080p. Ark: Survival Evolved lets you choose between 1080p/60fps and 1440p/30fps with lots of extra visual stuff, but the game still runs fairly terribly in either mode. Hitman lets you choose between 1440p/60fps or native 4K. These are all great options to have, and it would be nice to see more studios give players such flexibility, but if the PS4 Pro is anything to go by, only a handful of games will allow such tweaking. It's not just select Xbox One games that look better on One X. Nine Xbox 360 games – including Halo 3, Fallout 3, The Elder Scrolls: Oblivion, and Assassin’s Creed – run at nine times their original pixel count with expanded colour details on One X with a 4K TV. Tweaks have been made at the emulator level rather than to the game code itself, which sounds like some kind of wizardry to me, but the difference is profound. I only tried Halo 3, and it looks amazing on One X. It's hard to fathom seeing it in action that it is a game that launched in 2007. I'd love to see more Xbox 360 games get this treatment, and given how committed Microsoft is to its backwards compatibility programme, that could happen. A total of 13 original Xbox games also get a massive pixel boost on the One X, but I didn't try any of those. And of course, all the backwards compatible titles that run on the One S run on the One X. Good stuff. Xbox is marketing the One X exclusively at 4K TV owners – "if you're not going to get a 4K TV any time in the future, then Xbox One S does a lot of great things," said Xbox marketing guy Albert Penello earlier this year. But there are benefits to owning a One X if you only own a 1080p telly. For starters, games generally load faster, and if they don't, levels within games certainly do. The difference is most profound in games with large loading times: GTA V loads a full minute faster, The Witcher 3 apparently loads 90 seconds faster (I don't own it on Xbox so I couldn't test), Fortnite is about 30 seconds quicker, and Quantum Break's first act loads 40 seconds faster. There are also small 5-15 second gains in almost every game. If time is money, there's probably a calculation to be done here that will show you the point at which owning a One X will actually save you money, but I'm not the guy to do it. And of course, supersampling – the process that downsamples high-res textures for your meagre HD TV – is also a big plus, and makes a much bigger difference than I thought it would. I compared the output of an Xbox One S and an Xbox One X side by side on identical 1080p Ben Q monitors, and many games saw tangible benefits. In Forza 7, for example, the tangle of jaggies in the distance of each track is almost completely eliminated. In Assassin's Creed Origins, art on walls and pillars is much sharper, you can clearly see the leather wrapping on Bayek's sword hilt, character models look crisper (especially face and hair), and particle effects that are blurry on the One S are sharp on the One X.
Unsurprisingly, the benefits are most pronounced on games that underperformed on the One S. Quantum Break was a fuzzy, smudgy mess on One S, but on One X there's a huge, immediately noticeable difference: vegetation, brickwork, hair, and character models are all much cleaner. And of course, cutscenes run much, much smoother on One X – it's amazing how often they drop into the low 20s (or worse) on One S.
The Xbox One X is a beast; a feat of engineering that exceeded my expectations on both 4K and HD TVs. It mightn't run tons of games at a native 4K resolution, but it gets close enough with some demanding AAA titles, and I expect we'll see better optimised games as more studios get to grips with it. If you have a decent 4K TV, it is well worth considering – even if you own an Xbox One or One S. It's great to finally have a console that is edging up to the 4K barrier, and the leap in fidelity is a big one. Heck, if you have a vanilla PS4 it's still worth thinking about, depending on the games you play and where your friends are. (Those with a Pro are probably happy where they are.) 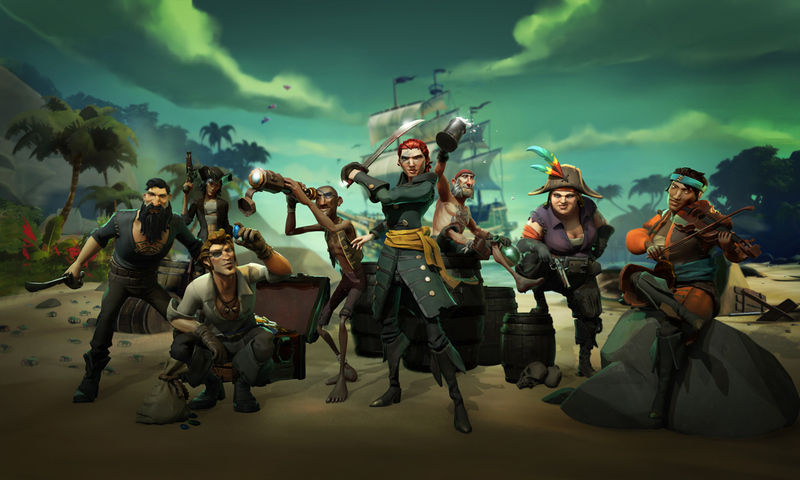 As I mentioned at the top of this review, Xbox has lacked compelling exclusive games this generation, but next year things are looking pretty good with Sea of Thieves, Ori and the Will of the Wisps, Crackdown 3, Astroneer, Pit People, State of Decay 2 and others coming exclusively to Xbox. There's also a small title called PlayerUnknown's Battlegrounds that's available via Xbox Game Preview today, if that seems like your cup of tea. 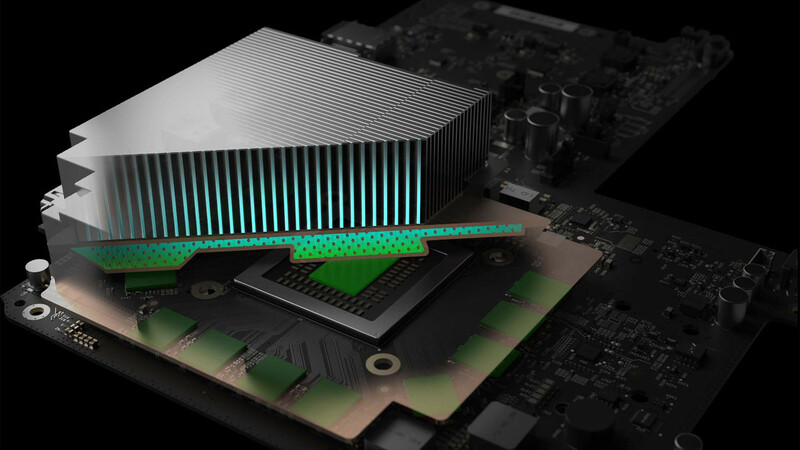 And thanks to its substantial power advantage, Xbox One X will likely be the best console to play multi-platform blockbusters like Anthem, Biomutant, Far Cry 5, Metro: Exodus, and Monster Hunter: World next year. I can see a lot of folks picking one up simply because it feels good to know you are playing the best console version available – even if the difference is slight. It's that attitude that has seen me switch from PS4 to Xbox One games for multi-platform titles – I want the best version available (yes, PC aside). Right now, and for the next year at the very least, that version will be found on Xbox One X.